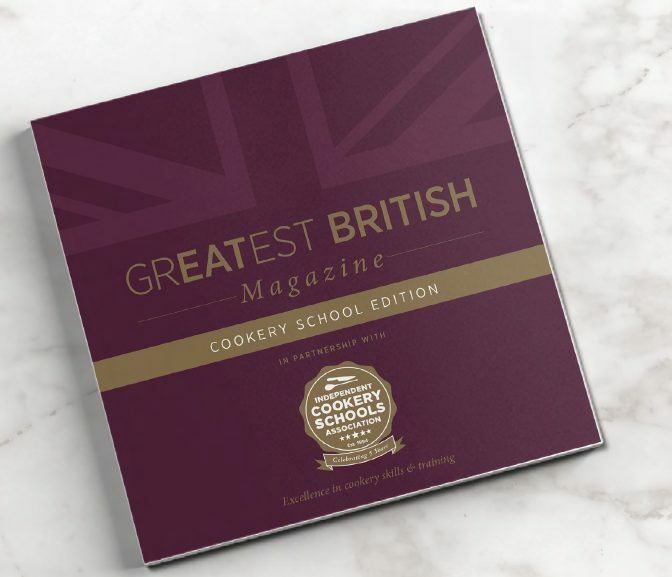 A celebration of Greatest British Cookery Schools. 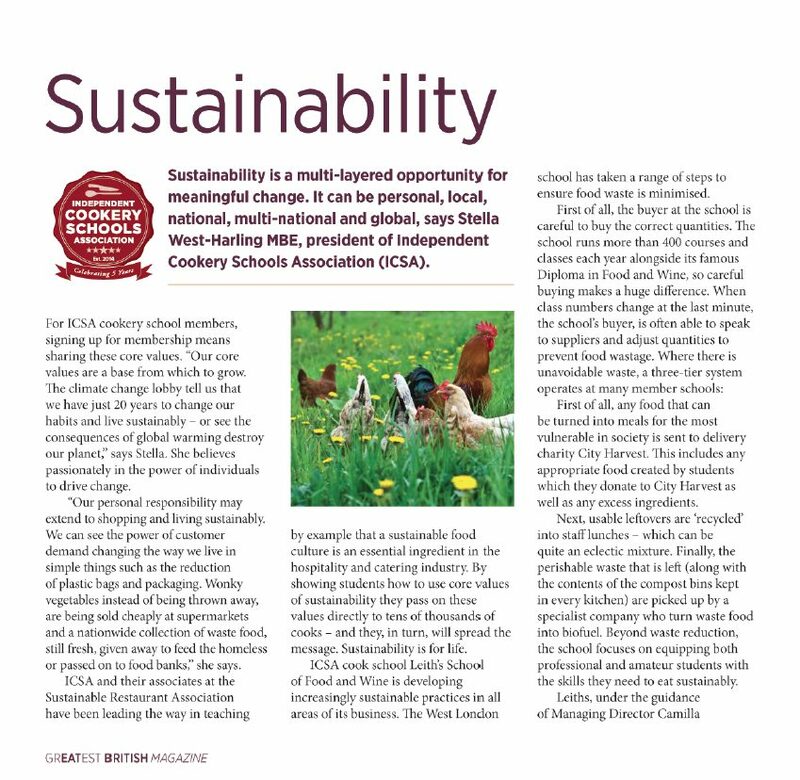 Celebrating accredited cookery schools including their core values of Sustainability, Seasonality, Sourcing regionally, Single use plastic free & Supporting British suppliers. Each core value covered in detail by articles by cookery school owners, chefs and industry writers to inform, educate and inspire. 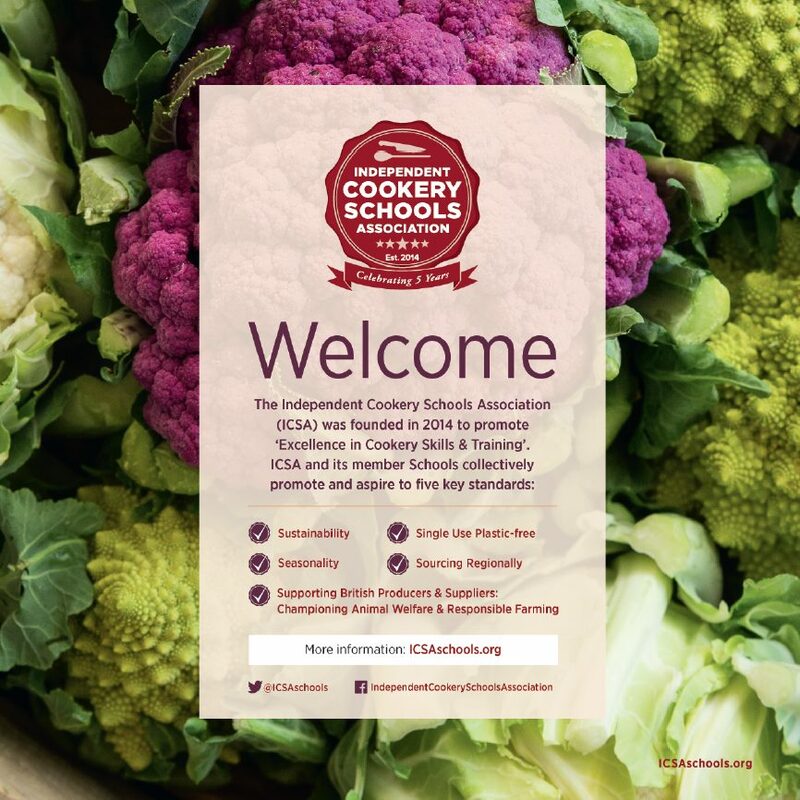 Featuring ICSA (Independent Cookery Schools Accredited) members map, profiles and cookery school related offers, gift ideas and features. Foreword by Stella West-Harling MBE & comments from Prue Leith, CBE, founder of Leiths Food & Wine Cookery School. Ideal for a gourmet gift, or inspiration to learn new skills. 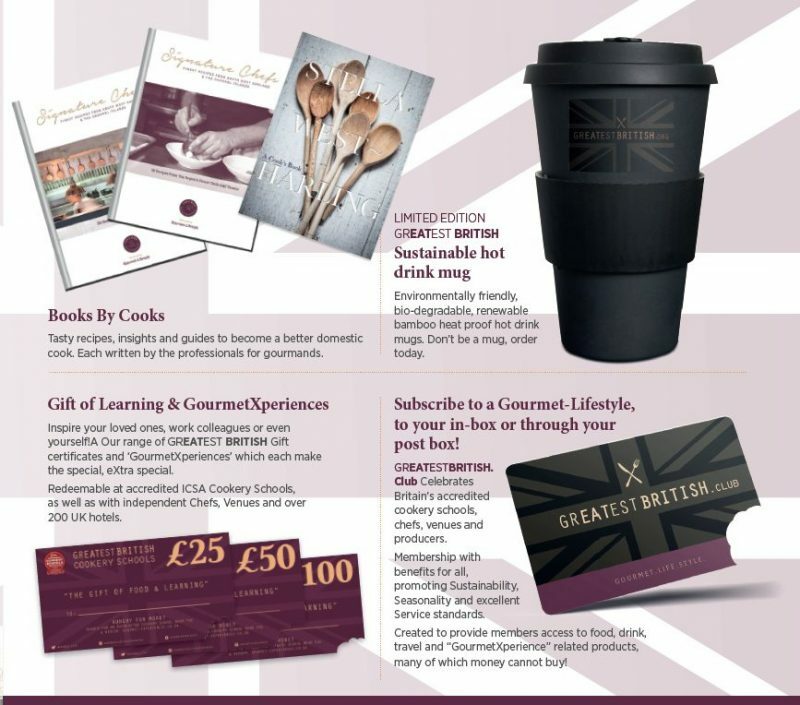 Or receive FREE with Cookery School Gift Vouchers over £100!